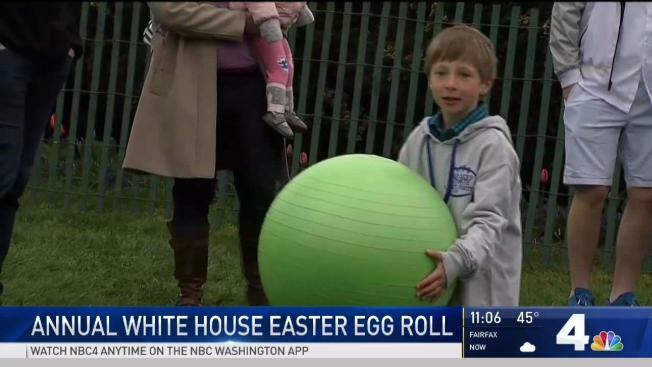 The White House says its annual Easter Egg Roll will be held April 22. Tickets are free and can be requested through an online lottery scheduled to open Thursday at 10 a.m. EST and close March 4 at 10 a.m. EST. The White House said there's no fee to enter the lottery, and winners will be contacted by email by March 14. Families with children ages 13 and younger are invited to join President Donald Trump and first lady Melania Trump for a day of festivities on the South Lawn, where children use wooden spoons to roll dyed hard-boiled eggs. 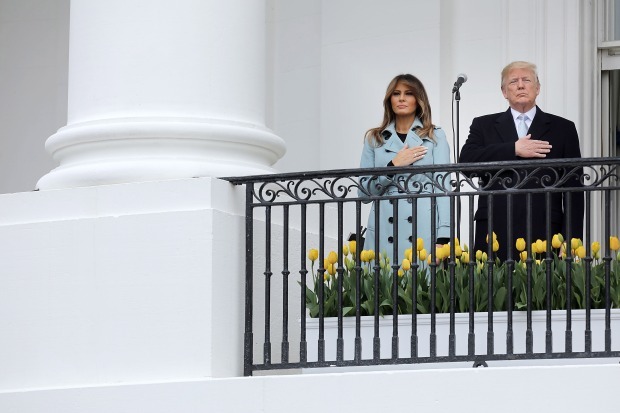 Last year, Trump spoke with the first lady and large Easter bunny at his sides. He touted the strength of the economy and military before overseeing the traditional rolling of hard-boiled eggs across the lawn. The White House Easter Egg Roll is an annual tradition that dates to 1878 and Rutherford B. Hayes' presidency. Easter falls on April 21 this year. See the White House's website for info on how to enter the lottery.